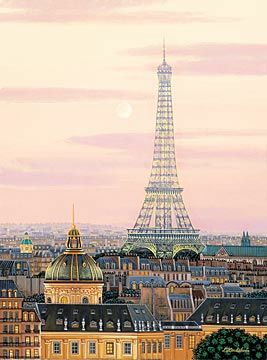 Home | Serigraphs and Giclee Fine Art | Liudmila Kondakova Parisian Art | Kondakova Handsigned and Numbered Limited Edition :Serigraph on Gesso Board:"La Tour Eiffel (Toujours Paris! Suite)"
Kondakova Handsigned and Numbered Limited Edition :Serigraph on Gesso Board:"La Tour Eiffel (Toujours Paris! Suite)"
Home | Fine Art Prints & Limited Editions | Gallery Direct Art is your Authorized Chalk & Vermilion Dealer | Liudmila Kondakova Parisian Art | Kondakova Handsigned and Numbered Limited Edition :Serigraph on Gesso Board:"La Tour Eiffel (Toujours Paris! Suite)"